BHSEC’s Ultimate club has made unwavering progress throughout the years, which has visibly paid off in last year’s unstoppable season. 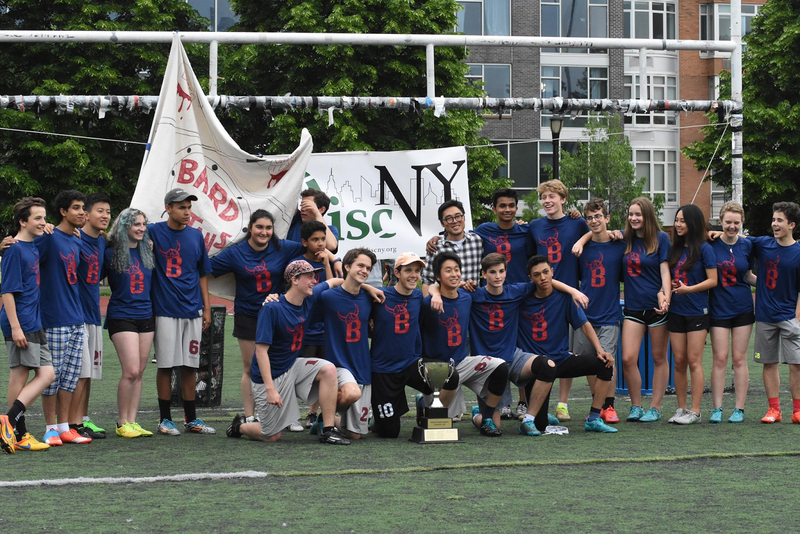 With the enthusiastic and supportive leadership of Nathan Shapiro and Connor Chin, the team embraced a new fervor and the Barbarians went on to dominate every obstacle they encountered in their journey to claim the title of New York City Champions and bring home the most glorious trophy the school has ever seen. This year, with the pungent scent of victory still ringing in their noses, the team has been invigorated with with a deep desire to defend their title. In fact, despite the cold weather, the club’s vigor has yielded the largest turnout in its history, with over 40 passionate ultimate players committed to the team. Given the lack of regulation due to the team’s club-status as well as its all-inclusive philosophy, no one is turned away at the door. However, in order to maintain the team’s unparalleled competitive rigor and continue playing at the highest level of NYC high school ultimate, there has been some major restructuring in order to divide the horde of players into essentially two associated teams. The newest addition to the club’s artillery, led by Livia Miller and Eli Hecht, is the introduction of a mixed league team consisting of mostly new players who are unfamiliar to the game. This low-risk, high-reward team presents the perfect opportunity for those interested in the sport but unable to compete at such high intensities right away. It was primarily established in order to fully harness the overwhelming influx of new players, and is already developing into a capable group of competitors. The open league team will be a continuation of last year’s championship-worthy team and has high hopes of bringing home the crown once again. Both teams are coed and neither roster is set in stone. The organizational changes aim to efficiently conduct the interest and talent that seems to be flooding in by providing a stepping stone where new players can experiment and perfect their fundamentals, before moving on to the more physically demanding open league. Over time, the maintenance of this system could have profound effects on the Ultimate Club at BHSEC by enabling more players than ever to compete at an appropriately challenging level, and will undoubtedly foster a more involved, personal experience with a greater variety of opportunity for players to thrive in as individuals. Although the competitive season does not begin until spring of 2017, both teams have already kicked into full effect with practices every Monday, Tuesday, and Thursday at East River Park.